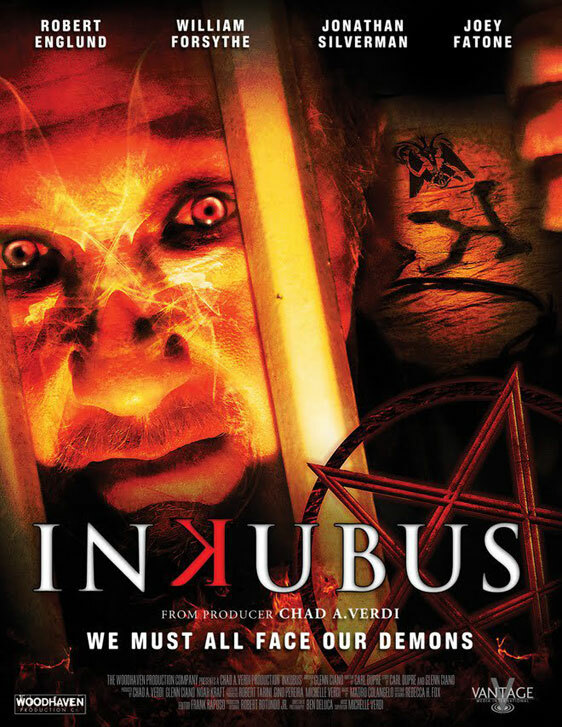 Inkubus tells the story of a skeleton crew working the final shift at a soon-to-be demolished police station in Wood Haven, Rhode Island. The night takes a gruesome turn when the demon, Inkubus, calmly walks into the station holding the severed head of a murdered girl. Now I'll be honest, I'm already getting a little tired of the whole supernatural fad we have going on at the moment, BUT, this film shows you how to do it right and please a crowd of people like me who are already bored with the supernatural. Also the addition of William Forsythe (Who seems to be looking more like Tom Atkins with each film, which isn't a bad thing) and Robert Englund to the cast was a stroke of genius. Two Horror veterans going into the independent films is always a good thing to see, because right now the independent scene is full of original and new ideas. William Forsythe puts in a great performance as the old cop who suffered a mental breakdown and is trying to cope with post-traumatic stress, it's hard to believe he never made it huge. But honestly, the films big star Robert Englund outshines every single cast member, he is simply masterful at his craft and this film is a perfect example of it. Blood, guts and gore are strewn throughout the film, but with the use of practical effects instead of C.G.I. was also great to see. Whilst viewing this film I felt like I stumbled upon a lost 80's Horror film, which is no bad thing at all! Yes it's low budget, yes it's an independent release which some people tend to stay away from, which is a shame because you are missing out on some great films, just like this release which I would highly recommend.